Science Daily. Also, Point – Counter Point and Health Central – Just Diagnosed. What is ADD and what are the causes? What are the drugs doing to our kids? Go and get controversial! 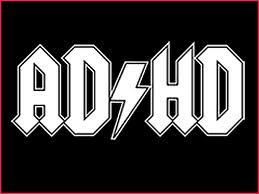 ADHD is more often then not a BS diagnosis offered to get a problem child out of the public school system, or at least get the kids addicted to expensive meeds. I think a lot of the behavior issues today are a direct result of the junk that’s being put in the drinking water. Who ever thought fluoridated water was a good idea? Now where did I put my shiny tinfoil hat…ah, there it is!